Graduating from college can be an exciting and frightening experience, and a time full of opportunities and big decisions. But for some students this year, college graduation is a great leap into a dry job market where the recession has hit young people the hardest. The outlook for new graduates is discouraging, according to Beth Akers, a fellow at the Brookings Institution. The latest Bureau of Labor statistic numbers indicate that job seekers between 20 and 24 years old face a 13.2 percent unemployment rate, compared to the 10.5 percent youth unemployment rate in 2007. The current national average is 7.6 percent. Akers adds that college degree holders normally should fare better than those without them. Liz Coda, Samantha Vandre and Cortni Thomas all avoided being counted among the unemployed. 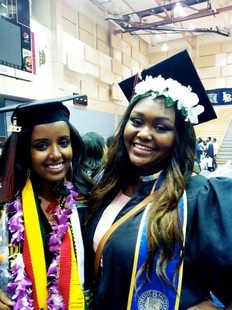 They are 2013 graduates who found non-traditional jobs. Coda signed up to serve with Teach for America, which places members in urban schools as teachers, and pays a salary comparable to that of a first-year teacher. 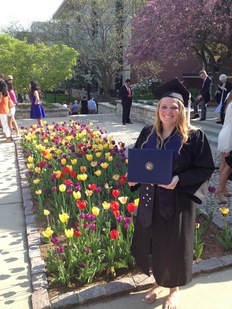 Samantha Vandre recently graduated from Marquette University. She will be joining the Peace Corps. Vandre joined the Peace Corps, which sends Americans abroad to assist populations in developing countries, and pays both a living stipend and an allowance of $275 per month. Thomas will work for City Year, which places members in classrooms of low-income school districts to tutor and mentor students. It pays about $1,120 a month, depending on your location, and adds another $5,550 at the end of the program. Even though these recent graduates remain uncertain about their future employment prospects, they all say they want to be a force of change in their community. They saw these temporary service programs as a way to improve their chances of getting a job later on. As opportunities for recent graduates in the job market have slimmed down, service organizations like Teach for America and City Year have grown in size. Teach For America’s pool of educators is up 46.5 percent, from 6,177 members in 2009 to 9,048 members in 2012. The Peace Corps will send 8,073 people overseas this year, and it receives about 12,400 applications annually. City Year has grown about 70 percent, from 6,750 applications for 1,600 spots in 2009 to 11,500 applicants for 2,550 positions in 2012. Melanie Mueller, City Year’s vice president of recruitment and admissions, said applications spiked in 2008 when the economy took a downward turn and the presidential election was heavy with political rhetoric about service and change. Vandre graduated in May from Marquette University and is getting ready to go to Cambodia as a part of the Peace Corps program. With a degree in psychology, she said her options in the traditional job market were not great. Cortni Thomas graduates from University of California, Riverside. Thomas will be joining City Year in the fall. Coda, who also majored in psychology, graduated recently from Northwestern University. She echoes Vandre’s sentiments about job prospects in the field, and will be joining Teach for America this fall. “My major is in psychology, minor in French. You know those two are not so lucrative fields of study,” she said. Coda said she might be interested in making a career out of teaching, and that Teach For America will allows for her to have classroom experience with the ability to opt out after two years. The Brooking Institution’s Beth Akers said these service programs are a good option at a time when many graduates are facing unemployment or underemployment, particularly when they may offer student debt relief, and partnerships with companies and graduate schools. Thomas, who is graduating from the University of California, Riverside, considered going on to graduate school or a credentialed program for education. 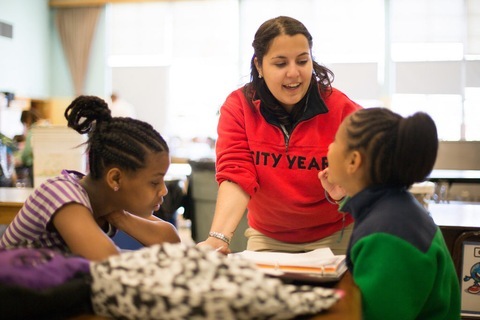 She settled on City Year because it promised her a breadth of experience that she can take with her as she moves toward her career goals. The program also allows her to work in different parts of the country. Many of these organizations have fine-tuned its pitches to young graduates as a valuable experience. In fact, none of these three service organizations is depending on the economic downturn to drive recruitment. Many of them have built strong relationships with college campuses. City Year’s Mueller said that the program’s recruitment strategy now is making it a household name. 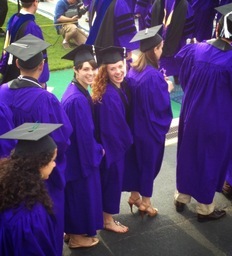 Liz Coda recently graduated from Northwestern University. She will be starting as a teacher for Teach for America in the fall. Teach for America alone recruits on more than 300 campuses around the United States, according to its recruitment director Chante Chambers. She added that the organization has also started to engage younger college students in social and education issues so that when they are ready to graduate, they will consider Teach for America as an option. “We hold workshops, activities that dig deeper into the issue to get students to start thinking along those lines, and the role they play in the community,” said Chambers. With the recession creating an employer’s market, more young graduates are positioning themselves to optimize their chances of getting work in the future. They’re hoping the experience they gain with these service organizations will help them.